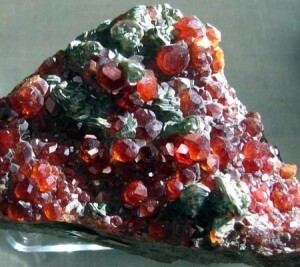 Garnet is a unique stone with unusual properties. It got its name due to the similarity of its color with the same fruit. It’s also juicy and brilliant. However, unlike the fruit, the stone garnet isn’t only red. All the colors of this stone are saturated and beautiful in their own way. That’s the richest family of stones in terms of variety of shades. They occupy virtually the entire spectrum except the blue part. 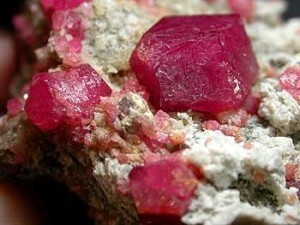 Red mineral is the most common one. It has a version known as “pyrope”. Its shades resemble the dance of a living fire and range from yellow and brown to dark bloody. Almandine, a red stone with a purple glow, is valued more than pyrope. Its purple hue it acquires thanks to the presence of iron in its composition. Sometimes the mineral demonstrates the effect of asterism. 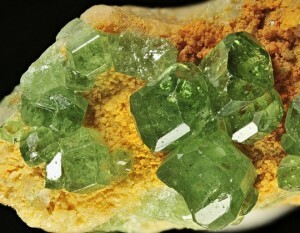 The stone grossularite is yellow or green, and it’s not transparent at all. There are a lot of variations of this gem, their brown, honey and copper hues are explained by the presence of chromium. 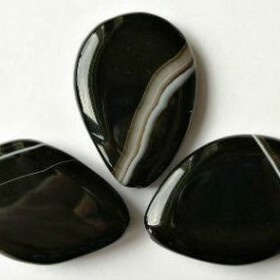 There’re also colorless stones, which are also completely opaque. The only gemstone among garnet crystals is demantoid. It’s also called a diamond-like stone. 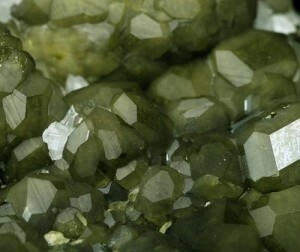 Demantoid has a bright green color. Varieties of this stone may have different colors: black (due to titanium impurities), lemon and pink yellowish. After the cut, these stones sparkle almost like diamonds. They look perfectly in jewelry products. There’re completely pink garnet crystals – that’s a variety of Rhodolite. The Greeks believed that the mineral was created from drops of dew, that’s why it looks so fresh and tender. 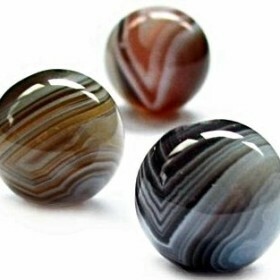 Perhaps, these are all colors as well as varieties of this smart gemstone. Certainly, the most popular red garnet is thoroughly described in various astrological textbooks. However, lately a new tendency appeared to study the magical properties of other garnet stones. Almandine in the red incarnation helps to make the right choice in any situation. Red pyrope helps to acquire harmony and happiness, but that’s true only for a passionate and energetic person as it corresponds to the gem’s character. Having an active approach to anything, this garnet dislikes inert people. It can even harm them – they’ll be deprived of their deserved happiness. It doesn’t mean that garnet shouldn’t be worn by modest people. Pink demantoid would be a very suitable for them. Yes, it’s much more expensive, but it’s not principled at all. The stone doesn’t care who carries it, it just does its job. Glorified by Kuprin, green garnet is considered rather a talisman of family and loyalty than fatal passion. It helps to establish friendly relationships with the most “problematic” family members: her mother in law, mother-in, step-children. Then, as the above-mentioned writer told, this mineral protects men from a suicide. One should always remember that it’s not a panacea. 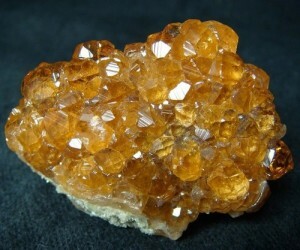 The mineral of the yellow or orange color is a stone of reconciliation. It’s purchased in order to get rid of unnecessary quarrels and tame the owner’s ardor and passion. The stone of this color adores all the weak and disadvantaged. It feels like it warms them with its warm sunshine and keeps away from aggression and cruelty of others. Someone even calculated how many properties garnet has, which of them are magical or healing. It has turned out the stone has up to 69 properties and the vast majority of them are magical. As for the gem’s healing properties, their number is less impressive, but they are extremely powerful. 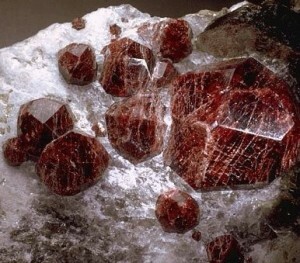 However, garnet is a mascot of love and this especially applies to its red variety. Those wearing the stone of this color will certainly be happy in his or her relationship with the sweetheart. Then, fate will favor the owner as for advancing up the career ladder (in this case we’d better use the phrase “career lift” ). The bright sparkling red stone provides decent creativity. It stimulates the working process and helps to stay in a good shape for a long time. However, if the owner wants to rest, he’d better stop wearing the amulet with the stone of this color, because it won’t let relax and disengage from everything. The quiet green stone helps its owner to acquire the same rationality. Having spent some money on the purchase of jewelry with the mineral of this color, henceforth, the person mysteriously starts treating everything carefully and deliberately and his money will always be with him. The mineral of the dawn color – pink, is considered to be a mascot of the unmarried. By itself, the pink color already promises happiness. 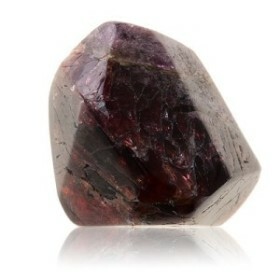 Garnet of this hue helps girls to become happy in love relationships and gain a successful marriage. By the way, in this case a successful marriage doesn’t suggest material benefits and if a young girl pursues them, she would better rely on other stones. 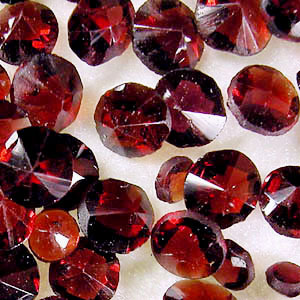 Since ancient times the garnet, stone has been extremely popular as a mascot. This mainly depends on its color: red, yellow, pink, green, black or colorless. Exactly the hue determines the magical properties of every mineral and our stone isn’t an exception here. So, we’ve just found out that red and pink gemstones help in romantic relationships. 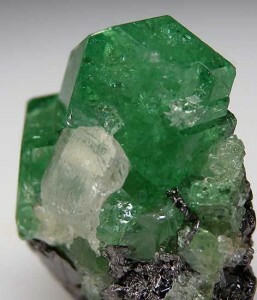 The mineral of the emerald hue was recommended for pregnant women to wear. It was believed that it protected not only the woman but also her fetus. Contrary to the popular belief regarding all stones of the black color, garnet has nothing to do with anything diabolic and negative. It’s no less helpful to people and it guarantees them protection. 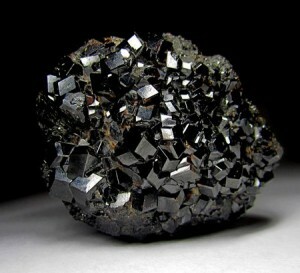 As it has recently turned out, the black garnet stone helps to cope with various diseases. It’s capable to heal male diseases, while the garnet white crystals focus mainly on female diseases. Red garnet, as they say, is unisex – it heals the wounds of the heart.